During the summer months, you may find yourself outside and enjoying the sunshine and longer days. So many people use this season to increase their exercise and work on getting active – which is a positive use of time and a great way to take advantage of the warmer weather! Of course, there’s no reason that Fido can’t join in on the fitness fun. Exercising with your dog is incredibly important. In fact, dogs enjoy almost all of the same benefits of exercise that we do. When dogs exercise, they improve their bone health, utilize otherwise inactive muscles, increase their longevity and quality of life, and rid themselves of toxins. 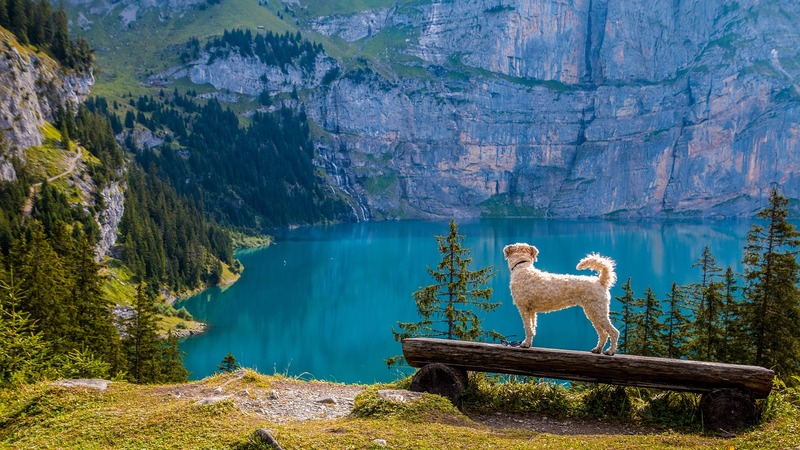 Of course, there are many ways you and your pup can enjoy the great outdoors and get in a great workout this summer, but here are some of our favorites. This one is kind of a given, but we have some tips to make walking your dog more enjoyable this summer. First, mix up your route. If you find yourself stuck in a dog-walking rut, your dog likely feels just as bored with the same old routine. Shake things up by walking your same loop in reverse or driving to a nearby park to walk around. Second, increase your mileage. Dogs and people both plateau if they don’t challenge themselves! If you usually walk for 20-30 minutes each day, try tacking on an extra five minutes each week. Building up slowly and exploring new places will definitely keep you and your dog in good shape! If your dog has never run before, make sure to take this one slowly. Start with half a mile to a mile at most and build from there by adding on distance every few weeks of training. Similarly, make sure you take it slow at the beginning. Your dog may not be used to trotting along next to you this fast! But as you continue training together, you’ll definitely find that there are few better running buddies than man’s best friend. Of course, if you have a puppy or a dog whose bones and joints aren’t fully developed, you shouldn’t be running with them. Consult your vet before starting a training routine. There’s nothing better than discovering a stunning new hiking trail and enjoying the sunshine. 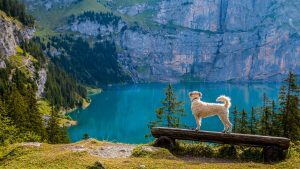 Your dog will love the new environment – even if it seems run-of-the-mill to you, all of the sights, sounds, and smells will be incredibly exciting for them. 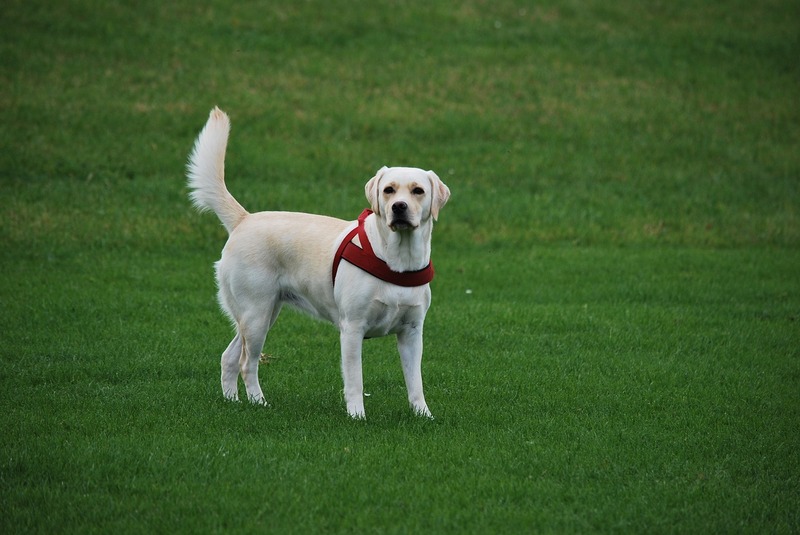 Make sure that the park you’re thinking of trekking out in is pet friendly! You can find obstacle courses for your dog at several local dog parks or you can make one right in your own backyard! If there’s one things dogs love, it’s a challenge. Break out the bag of treats and work with them on jumping, weaving, walking through tunnels or hoops, and more. If you’re looking for more of a laid-back obstacle course, consider purchasing or building a mini kid’s playset or cruising up to the park to teach your dog to go down the slide, or hop onto the low-height play set for some casual “agility” training. 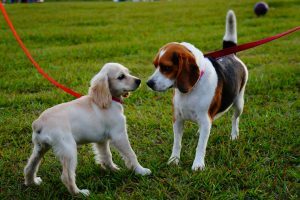 Dogs need socialization, and the dog park is the perfect place for them to romp and play all while socializing with other pups. 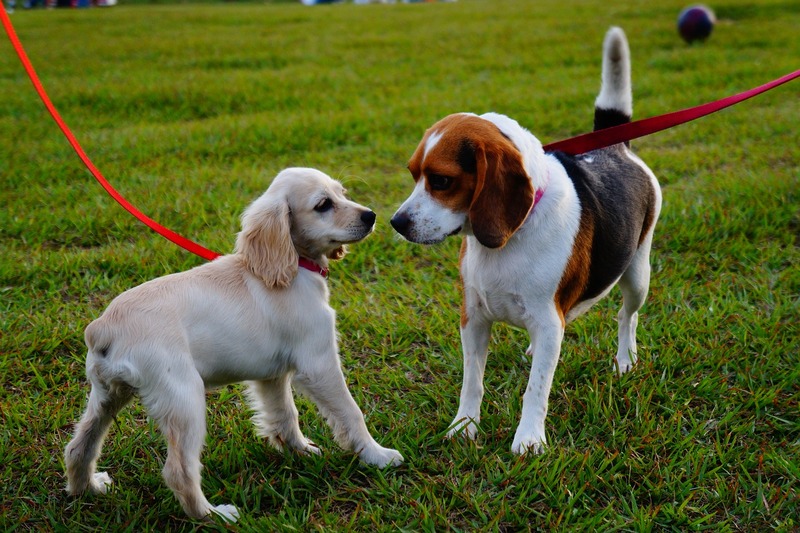 Check your local dog parks for rules and regulations – some cities require you to purchase a pass. Pack a tennis ball or a frisbee and go make some new furry friends! Obedience training may not sound like exercise to you – but your dog needs a mental workout every now and again, too. Consider signing up for a local class or do your own doggie training boot camp at home. 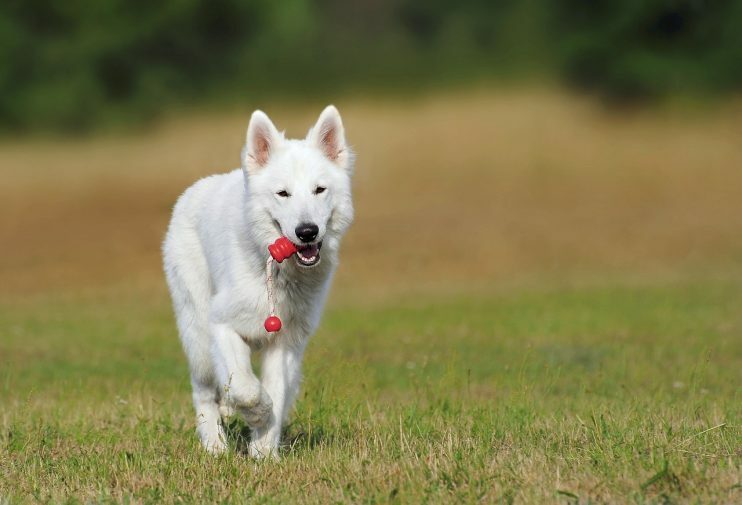 Whether you just want to reinforce commands they already know or you want to teach them something new, you’d be surprised at just how much they can absorb during training sessions with regular at-home reinforcement. Additionally, dogs tend to be happier and to act out less when they feel like they’re following the rules of their pack – so prepare to be pleasantly surprised and to reward them for their better-than-usual behavior! Working out with your dog can be a fun way to spend an afternoon, but you do have to be careful to protect both you and your pup! In the hot temperatures, make sure both of you are getting plenty of rest and water both before and after a workout – and don’t be afraid to take things slow if you or Fido don’t seem to be feeling up to the task! You want to make sure you’re both having fun getting fit. Whatever way you decide to exercise with your dog this summer, we hope you have a great time!